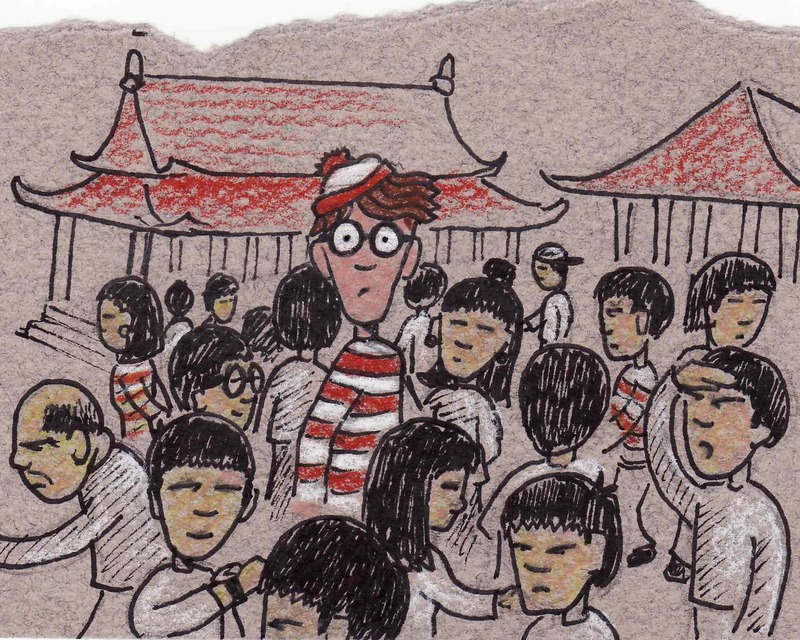 Some nights my son chooses a “Where’s Wally” book for his night-time read. That usually means a long hunt for the red-striped traveler and his cohorts. (Modern Wally has a dog, wizard, friend and nemesis along with accouterments from a scroll to a camera.) We usually end the hunt a half hour after my vision has failed. Today in China there’s a similar search underway. But instead of a miniature cartoon character in a confusing landscape, they’re trying to find the next President. Xi Jinping is the anointed successor to President Hu Jintao. At the soon-to-be-scheduled 18th National Congress of the Communist Party of China Xi will be appointed President. This is a once in a decade transition of leadership. Only they’ve misplaced the next President. The answer remains unknown. By the end of the year Xi Jinping is due to take over leadership of the world’s second largest economy and a growing force in world politics. Before then you have to find him. Is that Xi Jinping in the upper left corner below?